Her* Unspoken Languages, Franziska Koch, Chantal Küng & Anna Frei, 2017. OOR Saloon war im Oktober 2017 am Luff Festival in Lausanne zu Gast. Innerhalb des Unterfestivals L’OFF, welches sich mit dem Themenfeld von Repression und Sound (Répression Sonore) beschäftigte, haben Franziska Koch, Chantal Küng und Anna Frei eigens für den Anlass die Listening Performance «Her* Unspoken Languages – Silence as State Violence and Whistles of Resistance» erarbeitet. Ebenso im Programm vertreten war die französiche Sound-Researcherin und Sound-Kuratorin Juliette Volcler die ihr Buch «Sound as a Weapon» vorstellte. Um diese beiden, zusammen inhaltlich stimmigen Beiträge dem hiesigen Publikum nocheinmal zugänglich zu machen, organisiert OOR Saloon im Walcheturm einen Abend zum Thema «Sounds of Repression». Ausserdem präsentiert OOR Editions seine vierte Veröffentlichung «Her* Unspoken Languages – Silence as State Violence & Whistles of Resistance – A Script for a Listening-Performance by Chantal Küng, Franziska Koch, Anna Frei», ein Zine mit Download. 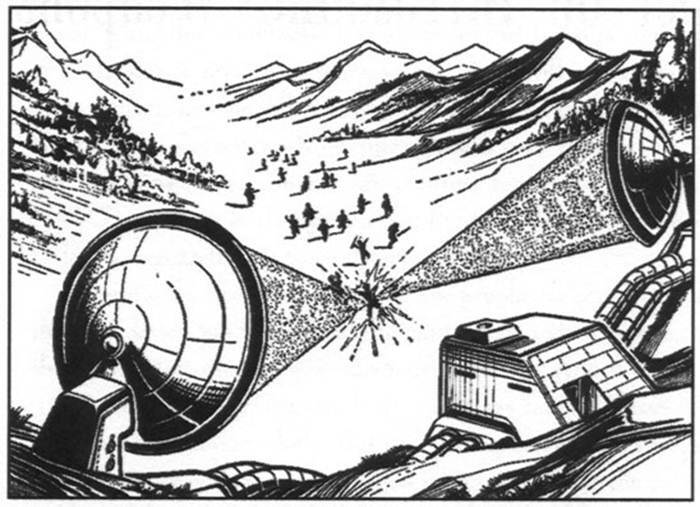 From the second World War on, scientific research on the military and police uses of sound developed. 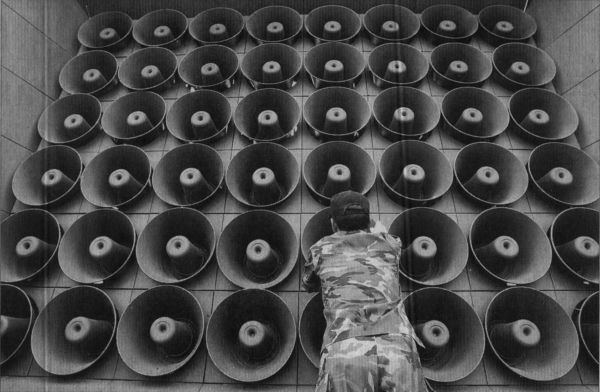 The idea was no longer to alert, to detect, to intimidate the enemy or to stimulate the troops, but to exploit the biological effects of sound. Indeed, depending on their frequency and amplitude, acoustic waves (which are mechanical vibrations) can have a powerful effect not only on the ear, but on the whole body. They also bear the great quality, from the user’s perpective, to achieve the same results as other so called «non lethal» weapons, while at the same time defusing any criticism and blurring the public debate. We will go through the history of the many failures the research on acoustic weapons is made of and on the few devices or practices that have emerged from it. We will walk on a thin line between the rumours the failures have fed and the denials the actual weapons trigger, in order to evaluate how the weaponization of sound has changed our societies. Juliette Volcler is an independent researcher and sound curator from France. She is the author of two essays, Extremely Loud. 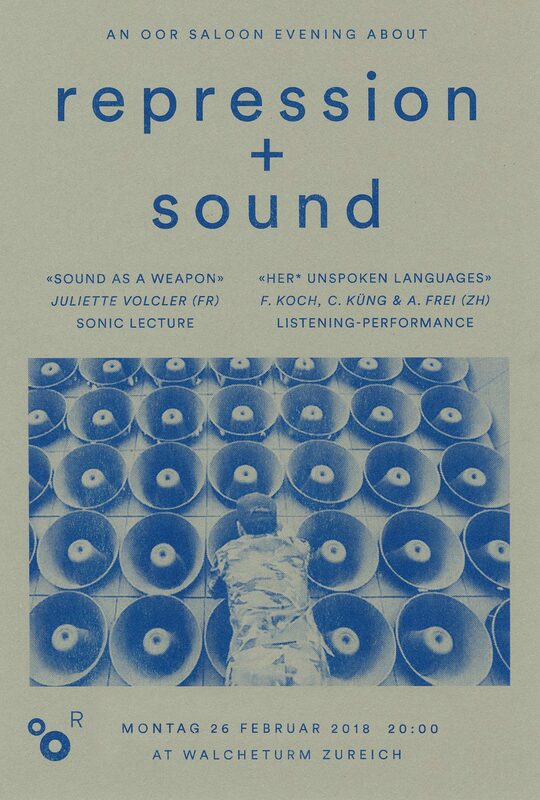 Sound as a weapon (The New Press, 2013) and Contrôle. Comment s’inventa l’art de la manipulation sonore (La Découverte / La rue musicale, 2017). She is the co-editor of Syntone, a review dedicated to radio and sound art critique. With Rosa L., Ulrike M., Chelsea M., Onu Shiru Ke, Assata S., Erithacus rubecula and others. Prison and jails are places of silencing, spaces where communication with the outside world gets interrupted or even made impossible. As a disciplinary tool, prison hides and silences what is unwanted in society, forms of otherness and lives of the other that are restricted and locked away. 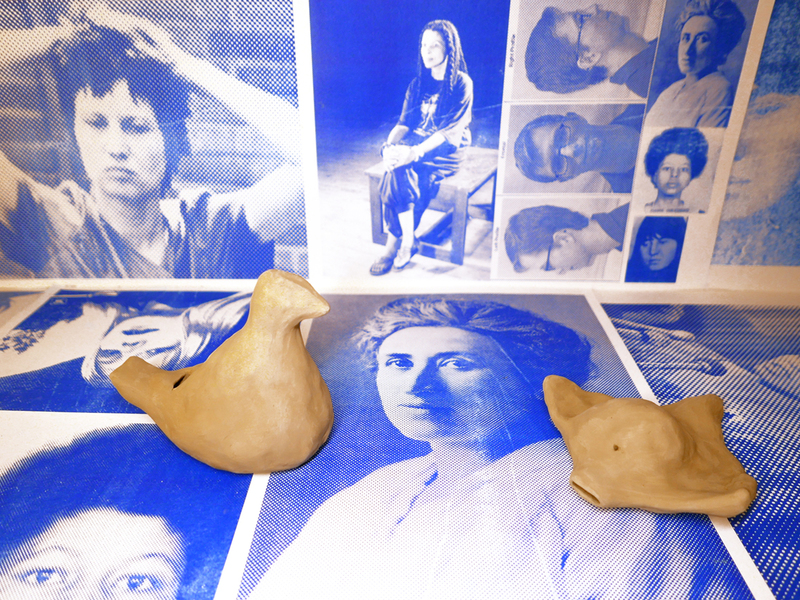 In this performance, voices and noises of women* who have all in their ways fought for a society that hears and makes space for all forms of the living, are being evoked. Some of the voices have been silenced by ignorance and invisibility, some have endured the most cruel repressive procedures such as solitary confinement, where silence becomes the most horrifying noise, where silence is a signifier of state violence and where hegemonic language becomes a prison. Some have started to listen to and communicate with the only messengers from the outside world that could get past prison walls; the birds. Silence can not only be a tool for oppression; it can become, simultaneously, a path of resistance. Listening to silences, we are starting to understand.